Practising asanas with accurate concentration, combined with the correct drishti (gaze), vinyasa (movement), bandhas (body locks), deep breathing and kumbhaka (retention of breath) will bestow upon the practitioner deep physical strength, clarity of mind, emotional equanimity and rapid spiritual growth. This kind of rich Yoga practice will awaken the parasympathetic nervous system and refine the senses. As one continues with this practice, an extraordinary refinement of the nervous structure takes place. This will prepare the physical body to handle the constantly evolving pranic energy that will start to circulate inside the nervous system. The psyche of the practitioners will dive into pure consciousness and an ocean of unadulterated peace will embrace them. Asanas and retention of breath go hand in hand.Although there are many exceptions, variations to meet the needs of the individual practitioner are very much allowed, the general rule is that whenever the practitioner inhales or exhales in an asana, the breath should be retained (after the inhale) and suspended (after the exhale) for as long as is comfortable.In the inverted poses, such as headstands, however, the inhalation and exhalation should either flow into each other without a break, or there should be suspension after the exhalation but no retention, since in these asanas the pressure in the brain could be intensified by the retentions, and capillaries in the eyes and brain could burst.The most important rule to be followed, in whatever asana, is to never force the retentions. The practitioner should take breaks whenever they are needed, and during those breaks let the breathing be natural and completely unimpeded.In the beginning, including retentions and suspensions of breath along with the practice of asanas can be challenging, but after a couple of months the physical body will adjust and the practitioner will begin to feel amazing spiritual power building up within. In most cases, practitioners will find themselves developing a passion for this type of practice, because the potency of it is undeniable and clearly beneficial. The human body is relentlessly changing within and without; all of our cells are continually growing, changing, decaying and dying, while new ones are being created. If the blood flow to the internal organs is strong and regular, the practitioner will be able to prevent many physical disorders such as strokes, heart attacks, macular degeneration, arteriosclerosis, and many other diseases caused by poor circulation. When performing asanas, our bones and joints are being realigned and adjusted, and problems such as arthritis, slipped discs, cervical spondylitis, hiatal hernia, and muscle spasms can all be eradicated. The mechanical rearrangement of the bone structure produced by the asanas (due to the motions of twisting, bending back and forth, rotating and so forth), destroys calcium sediments, thereby freeing the vertebrae and joints, and giving new strength and flexibility. Yoga asanas are usually grouped in simple categories: standing asanas, forward bends, hip openers, twists, balancing asanas, back bends, and inverted asanas. Different types of asanas have different effects on the body and mind. Similar asanas have similar effects, for instance, all back bends have comparable effects, which are different from the effects of twisting asanas or balancing asanas. 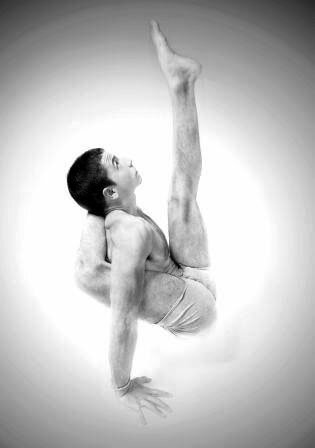 It can also be said that the more extreme and advanced the pose the more intense the benefits. With this in mind, some poses have been included in this book, in which two types of asanas are combined, such as twisting and balancing or bending forward and twisting. Each pose has its counter pose, for example, forward bend counter poses are the back bends, and vice versa. In the same manner, a twist or a bend to the right is countered by a twist or a bend to the left. Surya Namaskar is the beginning of all yoga asanas. The body is warmed by the ujai breath and the asana of Surya, the sun deity, protects us from any uncalled injuries. Surya is considered to be the source of all that exists in the cosmos. Surya represents the powerful element of Fire. The three forms of fire when combined as one are called the lord of progeny (Prajapati). Fire (Agni), came from earth, wind and thunderbolts, (Vayu or Indra), came from space, and from the sky came the sun (Surya). It is said that Surya went into state of meditation (dhyana) for the betterment of the world. From his incredible control of energy arose nuclear heat. The yogi should awaken the three fires within him, (nuclear heat, fire, and the thunderbolt) with Surya Namaskar before each practice. These postures are designed to fortify and straighten the joints, and have a positive action on the arch of the foot. If you externally rotate the legs and hips, the spine will also benefit from these poses. The internal organs will be given a nice massage due to the twisting action, and thereby be decontaminated. Stretching of the vertebral ligaments and spinal muscles also takes place, clearing away any excess calcium and increasing the flexibility of the joints. Fusion of the spine, spondylitis, and spinal arthritis can in most cases be reversed by these poses, since they stimulate the discs, break down calcium deposits, adjust the vertebrae to their correct position, and stretch the muscles and ligaments around the spine. Standing poses are the foundation of a rearrangement that the spine undergoes when you begin to practice Yoga. Standing postures refurbish the fundamental power of the muscles, bones, nervous system and circulatory system. By doing these poses the pliability of the muscles and ligaments around the spine will be preserved, which in turn will maintain vertebral independence and proper internal lubrication. When these poses are practiced on a daily basis, vertebral decompression and disc freedom will be acquired, ending sciatica, lumbar, quadratous lumborum, and other causes of lower back pain. The rearrangement of the inter-spinal muscles that standing poses generate will eradicate strain from the spine and central nervous system, letting the Kundalini ascend freely and without obstacles. By combining the asanas with deep breathing and stretches to the sides, the intercostal muscles will be lengthened, thus stimulating the alveolus, lungs, heart, arteries, veins and capillaries. The liver, pancreas, kidneys, spleen, stomach, and intestines are not only lengthened through these asanas, but also squeezed, detoxed, and massaged. Hernias and prolapsed organs can in many instances be cured, and peristalsis will gradually be reestablished. Cells throughout the entire body are transformed, and any feelings of lethargy will be replaced by vigor, energy and enthusiasm. Forward bends are like a magic potion to prevent lower back troubles. Through these poses the spinal muscles and ligaments are elongated, the sacrum is gently separated from the spine, and each vertebra is given its individual space. This action makes extra room for the blood and spinal fluid to circulate freely around and inside the intra-vertebral joints. If the asanas are done correctly, back ailments can be prevented and full healing can be brought to most existing problems. However, forward bending poses should not be used for rehabilitation of back injuries immediately after the injury has occurred, because it is difficult to perform these poses correctly while injured, and if they are done incorrectly they can aggravate the problem. A competent teacher is needed in any process of rehabilitation. A common mistake lies in bending from the upper lumbar; this can be quite harmful. The spine must be bent from the base; to be more specific, this bend has to be performed from the sacro-iliac joint. Since the body is bent in half, the sympathetic nerves are soothed, and a mild pressure is applied on the internal organs, helping them to release any accumulated toxicity. The metabolic tempo is reduced as the nervous system unwinds; blood pressure decreases while the neurological endocrine pathways are empowered. Chronic headaches may be healed by the influential decompression that these poses have on the brain. These poses can also be powerfully healing on an emotional level, as they often bring long-repressed traumas into the conscious mind, where they can be greeted with compassionate awareness and healed. As an advanced yogi relaxes into these poses and surrenders to the cleansing process, an inner window of understanding will open which lets in the power of liquid light; in this way the practitioner crosses the threshold of matter and introduces his cells and neurons to an ocean of everlasting energy. Through twisting postures the inter-spinal muscles are stretched in a gentle and enjoyable manner, and the spinal nerves are unchained from their habitual positions and freed from excess pressure. The vertebral joints are rejuvenated and nourishment to the discs is reestablished, while the ligaments and muscles become more yielding and yet simultaneously more sturdy. These poses assist the discs in preserving the correct level of pressure, and in this way lumbago pain and subluxations are relieved. These poses are like a gentle chiropractic treatment using rotational adjustments; they are a wonderful healing gift you can give yourself on a daily basis. Through twisting poses, respiratory and cardio competence develops, because the lungs and heart are massaged due to the twisting action. This also awakens the brain, as these poses have a propulsion action which stimulates the spinal fluid and blood flow, and since the intestines are squeezed constipation will also be relieved. All internal organs are aided in releasing and purifying toxified blood. This positively replenishes the cells, and sediments like calcium and heavy metals have a harder time adhering to the arteries. Balancing poses not only increase our ability to balance physically, they help balance all the systems in our body. They also bring the two hemispheres of the brain into a more harmonious alignment. These poses additionally strengthen the muscles and skeletal frame, while encouraging intramembranous ossification, which is the direct laying down of bone tissue into the primary connective tissue, thereby giving the practitioners’ bones the chance to heal properly and grow stronger. Similarly, balancing poses encourage endochotendral ossification, which helps cartilage to develop between the bones. A majority of human beings are relentlessly trying to guard themselves in numerous ways. As a species, we tend to be defensive, self protective, and sometimes even suspicious and distrustful by nature. Through various instinctive and spontaneous means we persistently shield the region of our heart, particularly if we are exposed to any danger, either emotional or physical. Backbends give us the opportunity to relieve these oppressive tendencies, for as the chest area opens up, we are enabled to open our hearts, and become simultaneously more trusting and vulnerable. With these poses we learn how to surrender all the weight and tension that we continuously carry in the chest and neck area. In some cases this is a challenging process; where there has been a great deal of emotional repression in the heart area, opening it up can bring about fluctuations in the normal rhythm of breath. While in these poses, we sometimes feel suddenly burdened by the outflow of released emotions and insecurity; with time, however, back bends naturally melt these problems away completely, giving us new levels of freedom, love, and trust in ourselves and in others. When we do these poses, we should simply relax, breathe deeply, and feel what is happening on all levels, physically, mentally and emotionally. Conscious breathing while doing asanas helps us utilize the healing power of prana to free ourselves from all blockages and grow in our capacity to enjoy real freedom. Back bends enable the kidneys to let go of any accumulated toxins by gently pressing the posterior muscles against them. The anterior parts of the body are stretched through these poses, and this develops blood movement in that area. In many back bends the arms are externally rotated, completely extended and the scapulas relaxed; consequently, frozen shoulders can be healed. The blood flow to the lymph nodes in the pubis, throat and neck will be increased, and the area behind the abdominal wall is given a good stretch, enabling a powerful detoxification process to occur. The heart’s ability to pump improves, and problems such as angina, cardiomyopathy, chest pain, anxiety and taquichardia are significantly assisted as the cardiac muscles are strengthened. Valvular heart disease, mitral regurgitation, and infective endocarditis can also be alleviated by these asanas, since the propensity for the heart valves to degenerate with age is slowed down by the performance of backbends. Dyspepsia can also be mitigated, and hiatal hernias can sometimes be completely reversed, as the stomach is pulled away from the diaphragm and esophagus. During the waking hours of our life span, we usually either stand erect or sit, and in both cases our head is held up. Because the head is almost always held erect, the heart has to work very hard to deliver blood to the brain, since it has to fight gravity to do so. The heart has to use immense reservoirs of energy for this work, in addition to all that is needed to circulate the blood throughout our entire system, and the lungs are also given a heavy burden. The only time we give the heart and lungs a break is at night, when we lie down to sleep, or when we take an occasional nap during the day and put our body in a horizontal position. Gravity usually acts upon the physical body like a vise, putting pressure on all of our systems; this gradually reduces our vital energy. Inverted poses reverse this trend, and thereby refresh the whole organism, giving the lymph and circulatory systems a break from gravity’s constant strain. By inverting the body we can get a fresh and bountiful supply of blood and spinal fluid to the brain and upper glands, without straining the heart at all. Now gravity is working for us, instead of against us! Because inverting the body increases the blood flow, all the blood vessels become more elastic and flexible, allowing more blood and oxygen to reach the brain even when we are standing erect. In our school of Yoga we believe it is often of great benefit for persons with hypertension and high blood pressure to practice inverted postures, because they increase the body’s ability to regulate the flow within the blood vessels and capillaries. Although it may seem counterintuitive, these postures also reduce any built-up pressure in the brain and eyes, by increasing the blood flow in both directions. (Of course, this has to be done only with the permission of a medical doctor, and under strict guidance of a competent Yoga teacher who carefully supervises your practice.) We believe that if a hypertensive person practices headstands regularly, the suppleness and flexibility of the blood vessels will be optimized, and therefore an abrupt increase in systemic pressure (which is a threat hypertensive people often face) will no longer be likely to end in a blood vessel burst, but gently ease itself back into balance, since due to the headstands the blood vessels will be accustomed to the process of adjusting and inflating. However, ours is not the only point of view on this question; some Yoga teachers are against inverted poses if hypertension is present, believing that these poses can increase high blood pressure. In some cases this could be true, so if the practitioner’s blood pressure is very high, he or she should first medically regulate their blood pressure, and only with a doctor’s permission should they then attempt these poses, and only with a skilled guide by their side. Inverted poses are known to avert the development of varicose veins. Due to the increased blood flow, the tissues in the brain deteriorate at a much lower speed; ischemic strokes are virtually unknown to those who do headstands on a regular basis. 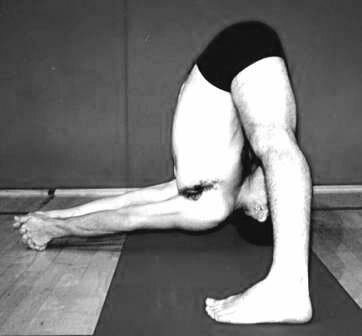 Inverted poses rejuvenate the brain cells and prevent age-related cerebral atrophy. Headstands are believed to prevent and mitigate cerebral atherosclerosis, strokes, pseudo bulbar palsy, dementia, and many other problems that are caused in part by poor blood flow to the brain. The thymus and thyroid glands also become invigorated through headstands, and this increases the body’s defense mechanisms; the entire immune system becomes stronger. Dysmenorrheal and leg’s edema in women are also ameliorated by the consistent practice of inverted poses. The thymus and thyroid glands become invigorated through these asanas, and in some people serious thyroid problems or low metabolism tendencies gradually reverse. The eyes are nurtured with blood, and any strain on the nerves of the eyes will gradually be alleviated. Macular degeneration, glaucoma, optic atrophy and many other eye illnesses can be prevented by headstands. If the pose is done with continuous harmonious breathing, the strain in the optical blood vessel should not augment, in fact, it should lessen. Please note that if you experience any uncomfortable intra-ocular pressure during a headstand, this can be averted by deliberately and forcefully closing the eyes. Headstands should always be done at the end of the practice, when the arteries and veins have already been warmed up. This will prevent any possibility of capillaries bursting. At the end of each headstand, the Balasana, or child’s pose, should be immediately performed, and the head kept on the ground, so as to let any excess blood in the brain flow back into the body in a gradual manner. It’s always wise to be as gentle as possible with the brain. 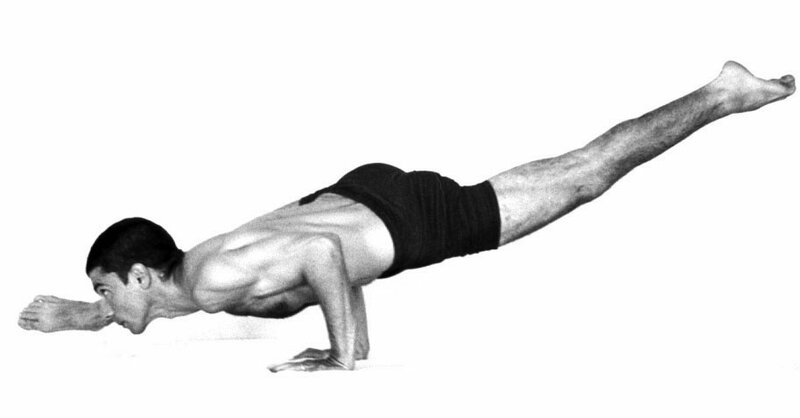 While performing the headstand, it is crucial that the practitioner’s weight not descend solely on the neck. The trapezius, biceps, triceps, elbows and forearms should absorb most of the pressure. Space should be increased between the trapezius and the occipital area to minimize stress on the cervical vertebras. Please note that although there have been very few medical trials on the practice of yoga asanas, we nonetheless have very good reasons to state that the asanas described here do produce specific benefits, which can surely be detected by scientists if they care to undertake a study on the matter. Yoga has been practiced and studied for thousands of years. The only difference between these studies and modern scientific trials is that the experiments have been done not in a laboratory but in Yoga classes—and by the ancient yogis, who most often practiced in solitude. There is no doubt that the practice of asanas helps people to become healthy, strong, and to experience a constant sense of well being. Great yogis throughout history have demonstrated the results of their practice through their attainment of Enlightenment and the great spiritual powers which accompany that state. Similar to acupuncture, massage and other natural healing methods, asanas have very valuable effects which can, and have been, scientifically verified. However, we cannot guarantee the same results will come to all people. All we can suggest is that you give Yoga Adityam a try, and see the results for yourself. If you are someone with chronic health problems, or mental or emotional difficulties, it is quite possible that practicing Yoga will bring you a powerful healing. Even if you are skeptical at first, our suggestion is to give the Yoga the benefit of the doubt for a while; we think it is likely that you will be pleasantly surprised. In any case, in order to begin the practice of asanas, you will first need to find an experienced and competent teacher. It is definitely not recommended that you try to teach yourself Yoga merely by studying books; this can be very harmful. A book of this kind can be a valuable support to your practice, but it is by no means a substitute for a living teacher. Furthermore, if you suffer any ailment or disease, it is imperative that before beginning the practice of asanas, you get the approval and recommendation of your physician. Please note that the statements in this chapter are not based on medical studies, but on the observations of numerous Yoga practitioners. Side bends strengthen and stretch the oblique muscles, and also the quadratus lumborum; this helps with lower-back pain and sacroiliac injuries. Side bends also help correct scoliosis (curvatures of the spine). They open the rib cage on both sides, and one beneficial result is that the pleural cavity is stimulated to produce pleural fluid. Stretching of the rib cage also helps prepare the lungs for pranayama. The trachea, which splits into the two major bronchial tubes, is also stretched by side bends. This allows those tubes to get a plentiful supply of blood, which is important because they are responsible for allowing the flow of air into the lungs. When those tubes blossom into the lungs, they divide and branch off in multiple directions and end in numerous tiny bronchioles, which are also benefited by the stretches and contractions inherent in side bends. In conjunction with the breath, those stretches and contractions motivate the alveolar sacs to inflate to the fullest possible extent. Inside the alveolar sacs there are many small alveoli, balloon-like organs which are wrapped in blood vessels, each of which are hungry for oxygen and eager to let go of carbon dioxide. Side bends aid this process of exchanging carbon dioxide for oxygen. For individuals who have smoked for years and have a noticeable decrease in lung function, side bends can slowly alleviate certain symptoms such as shortness of breads, chest tightness, shallow breathing, excessively rapid breathing and anxiety. In short, side bends are excellent for lung health, and are valuable in healing and strengthening the spine. These poses are a blessing for both men and women, but they are truly priceless for the female reproductive organs; they are especially beneficial for pregnant women. They will assist in labor, open the adductors, hip flexors, iliotibal band and tensor facialata. The action of the hip openers will in many cases alleviate menstrual pain. These poses are sometimes emotionally challenging, due to the effects of opening areas which may have been chronically tightened due to emotional repression. The practitioner may therefore feel vulnerable or unprotected while beginning to work with these asanas. It is recommended that you gently relax into these poses, breathing deeply for a full 20 minutes. It is likely that you will be experience an astonishing opening and emotional cleansing.